The boys that hatched out in the summer are pretty much ready to eat I think and look pretty good. They fight a lot so I think it will be time soon to put them in the oven! What age do other peopel kill their young cockerels at? Hmmm, coq-au-vin...I used to do mine at 4 months, but others might disagree. If you think they are meaty enough, go for it. Or, just do one to see and leave the rest for a week or two if you think they're skinny. But I'm probably preaching to the converted! I think these will be arouind there when I do it, maybe a little older. Our roosters hatched at the end of June and haven't filled out a whole lot but then they will never look like commercial meat birds. I am planning on butchering them toward the end of November when it is cooler and they have grown a little more. 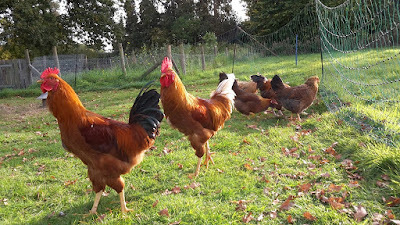 The pullets have been moved to the main flock and will start laying in a couple of months. I skin the birds then cook in probably a 15 gallon pot then chop the meat and can in mason jars. It goes a long way when added to something like rice in a casserole. No the breast never fill out the same but always much more leg meat. We do our spring hatched overflow of roosters in sometime their first fall . . . so we don't have to carry them over the winter. And to keep peace in the hen house/yard. We wait until the air is cool but not so cold it's hard to butcher outside. Usually around the last part of October or first part of November up here in northern Minnesota. Yeah, there is a bit fo fighting here in the "new flock" A few necks less should stop the scuffles! We kill them when they start to fight too much and we need the space (and peace) for other chickens. Usually this is about 8-9 months. They are still tender at that time and perfect for roasts. The leg meat is dark and extra tasty :) They are a bit smaller than a supermarket chicken, but the right size for several meals for the two of us. Don't forget to save the feet for awesome chicken stock! 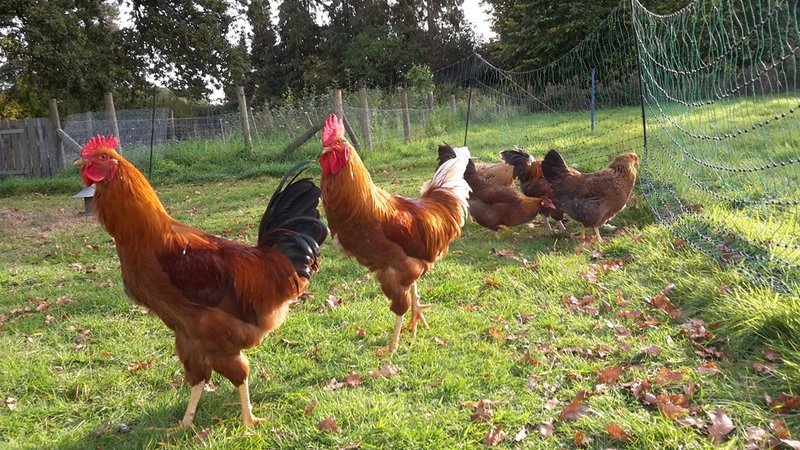 The crowing doesn't bother me, but I'm not sure what the neighbours think, not so bad in the winter, just the summer when they can kick off at 4.30!